Brief Synopsis – After a housing mix-up, a new male student in college is accidentally paired in a room with a woman who is his complete opposite in every way possible. My Take on it – This is a film that I was interested in when I saw that it stared Helen Slater and Patrick Dempsey in a romantic comedy structure. Unfortunately, the movie doesn’t work very well and that largely has to d with the fact that these two great actors have no chemistry together whatsoever. 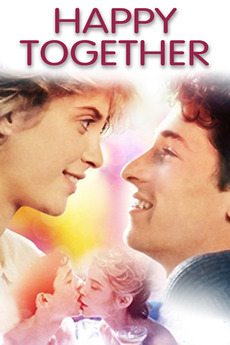 Their characters are meant to be so very different yet there is no reason that they should be together especially since Dempsey plays his usual 80’s self in this film [like in Loverboy (1989), Meatballs III (1986) and of course Can’t Buy Me Love (1987)] and doesn’t manage to seem any different than he does in those roles where his character has a miraculous transformation over the course of the movie. Slater, on the other hand looks and feels too old playing a college Freshman which takes away from giving the viewer enough of a reason to care about her character because she just isn’t right for the role. Yes, like most romantic comedies, there are a few cute scenes that work, but overall this film comes across as being so far from realistic that it’s almost impossible to accept any of the premise as plausible. The Dan Schneider scenes (Dennis from Head of the Class) come across as way too creepy and not funny at all. Bottom Line – Romantic comedy that doesn’t work well at all largely due to the terrible chemistry between its two very talented leads. Dempsey plays the typical role that he played in most 80’s films and Slater doesn’t quite manage to be a convincing college girl here because she looks too old for the part. There are a few “cute” scenes in this film, but overall, it just doesn’t come across as realistic in the least.